ROME (AP) — Russia and the United States remain split on how to resolve the crisis in Venezuela, officials from both powers said Tuesday after talks in Rome. Elliott Abrams, the Trump administration’s special envoy to Venezuela, met with Russian Deputy Foreign Minister Sergei Ryabkov to discuss the situation in the Latin American country. “We did not come to a meeting of the minds, but the talks were positive in the sense that I think both sides emerged with a better understanding of the other’s views,” Abrams told reporters after the meeting at a luxury hotel in Rome. He said it’s “perfectly plausible” that the two sides meet again but no date was set. Russia backs Venezuelan President Nicolas Maduro and has accused Washington of meddling in the country’s affairs by pressing him to step down and hand over power to opposition leader Juan Guaido. Speaking to Russian media, Ryabkov emphasized the need for dialogue with the U.S. but warned Washington against military intervention. 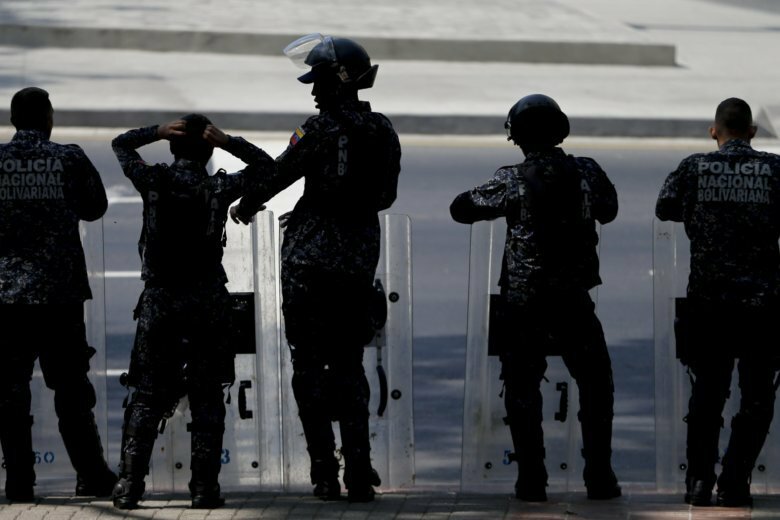 President Donald Trump has said “all options are on the table” regarding Venezuela, which Russia interprets as a refusal to exclude military force, Ryabkov said. “We have warned the U.S. against that reckless approach,” Ryabkov said in remarks that were carried by the state Tass and RIA Novosti news agencies. Abrams insisted the U.S. will continue to keep its options open, but said it has chosen the path of putting political, financial and diplomatic pressure on Maduro’s regime. Earlier, Abrams met with government officials from Italy — one of four European Union countries that have not backed Guaido as Venezuela’s interim president — and paid a visit to the Vatican. He noted that the Catholic Church enjoys respect and credibility in Venezuela, but said it’s unclear what role if any the Vatican could play in its political crisis. Pope Francis has reportedly written to Maduro indicating conditions aren’t ripe for the Vatican to step in and help mediate. Also Tuesday, the U.S. added a Venezuelan state-owned mining company to a growing sanctions list as it seeks to increase pressure on Maduro. The new sanctions bar any U.S. citizen or entity from any financial transactions with the gold mining company known as Minerven and its president, Adrian Antonio Perdomo Mata. The U.S. Treasury Department said the company is helping to prop up Maduro, who alleges that he is the target of a U.S. coup plot. Vladimir Isachenkov in Moscow and Ben Fox in Washington contributed to this report.